Is LiteSpeed Actually More Powerful Than What You Now Have? Is LiteSpeed’s Model Better than Apache’s? Is LSWS Still Worth It over Apache and Nginx? The fact is, though, as with anything, it’s hard to know which web server really does perform the best and isn’t just a matter of hype. Beyond the marketing copy itself, sure, you can test various options yourself. Other than using your own testing and direct application to your situation, it’s hard to figure out whom to believe. Is the developer providing straightforward information? How much do people commenting online about which ones they prefer really know about web servers? What are their particular biases? Let’s look at nginx in comparison to Apache, taking special note of how event-driven architecture might be preferable to the process-based model; compare nginx and Apache along similar lines; and look at LiteSpeed in comparison to nginx, based on a couple of people who have used both of them. You might start to think that nginx is the best web server. After all, let’s just look at its key positive trait in comparison to Apache. Nginx is event-driven, or asynchronous, while Apache is process-based. There’s a great analogy on this aspect that was provided by WordPress consultant Mark Jaquith on Quora – still relevant although it was posted a few years ago. Jaquith described the different web server options in terms of different experiences at a clothing store. He suggested to think about a clothing store where you walk in and there’s an assistant who can immediately help you find what you need. The only way you can buy something from the store is if you make your way around with the assistant. They welcome you, show you products, direct you to the changing rooms, take your payment, and say goodbye. The problem here is that each customer that comes through the door requires another sales assistant, Mark noted. “The store only has a set number of personal shoppers available,” he said. “If none are available, new customers have to wait.” That’s a process-based clothing store. In other words, Apache. Picture another clothing store. At that store, when you get to the store, there is someone there to greet you. When you want to find a suit or a dress, or use the fitting rooms, the door is unlocked for you. When you want to check out, you get help from a cashier. That’s an event-driven clothing store. In other words, nginx. Essentially, with the event-driven option, you don’t have your resources waiting around while you change into different outfits, jokes Mark. That’s basically, in a nutshell, how you can understand one of the core arguments for common Apache replacements. The event-driven model is not just used by nginx, though. It’s also used by LiteSpeed to describe what it considers to be a major advantage over Apache. As indicated by the clothing analogy, each connection with Apache is assigned its own thread or process. The continual creation of processes is an unnecessary drain on resources. The event-driven architecture of LiteSpeed or nginx instead meets the needs of users via several processes so that fewer resources are consumed. Since you make your site more efficient in this way, you are able to meet the needs of a larger number of clients simultaneously, faster than you could before, without having to get a more powerful server or hosting plan, explains the developer. People wonder whether it really is worth the extra cost to add LiteSpeed to their server for a small cost when they could get Apache or nginx for free. Lepp’s comments are at least an interesting case-study perspective if not the final word. After all, they were made in 2011. It’s helpful to review another, more recent perspective – actually one made by someone who’s posted 1,546 times to Web Hosting Talk since 2000, Australian “web hosting master” Eva2000. The user said in July 2016 that, based on comparing the performance of different web servers in processing more than half a million unique IP visits daily, LiteSpeed could very well be worth the extra cost. “Yes Litespeed is still worth it especially if you’re focused on HTTP/2 HTTPS/SSL serving as WHM,” the webmaster said. “Performance wise still Litespeed especially for non-cached PHP via LASPI PHP beats Nginx reverse proxy + Apache as ultimately non-cached hits will hit the Apache backend and PHP.” To be specific, the non-cached hits can occur either through mod_php (loading PHP as an Apached module so Apache can interpret them) or php-fpm (FastCGI Process Manager). Now that we have a little evidence that LiteSpeed might be preferable, let’s take a look at it a little bit more up-close. Simple Apache transition – LSWS was designed for compatibility with popular Apache capabilities such as .htaccess, mod_security and mod_rewrite. The web server is able to load configuration files developed for Apache and can be used in place of it, switching it out via hosting control panels in just 15 minutes, with uptime at 100% throughout. In contrast to alternative proxy-based options, LiteSpeed was built with a focus on simple and problem-free transition from Apache. 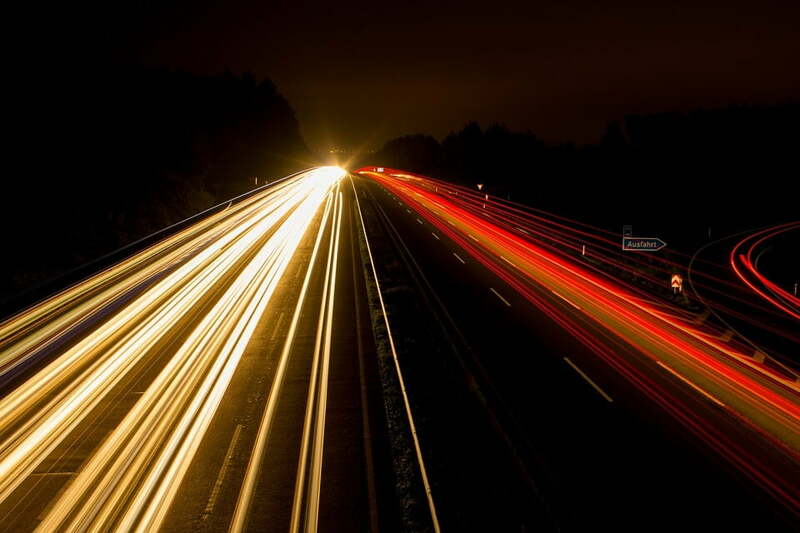 Speed and stability – Beyond the event-driven model, LiteSpeed accelerates the delivery of static content via rapid kernel syscalls and provides stronger PHP speed via LSAPI. It’s geared toward scalability and even preventing DDoS attacks. Lower hardware and support bills – The licensing costs for LiteSpeed are typically lower than the amount you would need to put into your hardware to approximate similar results with Apache. The switch is extraordinarily easy, even cPanel-supported. Support costs are cut because you are using the same hosting control panel with which you’re familiar while relieving your server strain. More money – The combination of better speed and lower support costs leads to more revenue for your business. Are you interested in what LSWS can do for the performance of your business? At KnownHost, you can use LiteSpeed to optimize your fully managed, optimized, and scalable virtual private server. Compare our VPS hosting packages. With SSD’s, How Are You at an Advantage? Last I read is that it is not complete and that’s why security software like “ConfigServer eXploit Scanner (cxs)” doesn’t work with it. And considering that on a VPS we can’t use the CXS watch daemon because inotify is too low it seems we would trade speed against security if we want to run CXS for real-time threat scanning. Or does LiteSpeed now fully support mod_security so it runs with CXS? LiteSpeed’s current mod_security engine now works with CXS. @inspectfile is supported. If you have any other questions please email info@litespeedtech.com and we will be happy to answer them for you. Who would proxy nginx to Apache? It would negate all the gains of the event driven model, the only advantage being the handling of static assets. Surely php-fpm, and a little bit of opcode cache would be a better arrangement. Add-ons like Autom8n’s Xtendweb let this be bolted on to a WHM VPS, and configured for individual hosts from within the cPanel interface. You would proxy to Apache when Apache is running a particular part of your server side, but not Nginx is your primary server. So for example, I use Apache to serve my ISPconfig panel, since it’s set up for it, but NextCloud and other performance critical assets use Nginx only..